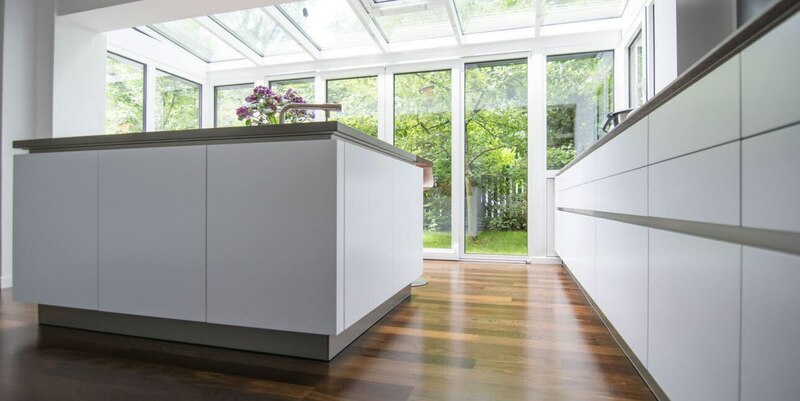 This INTUO kitchen is generous and light-flooded thanks to the construction of a new conservatory, and now offers space for the whole family. 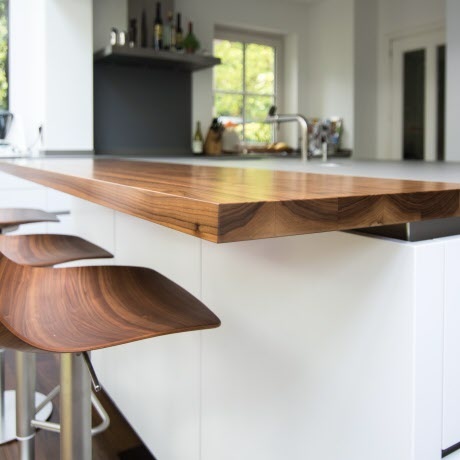 Thalmeier’s task was to convert a kitchen that was too small for a family of five, into a generous cooking and living oasis for the whole family. 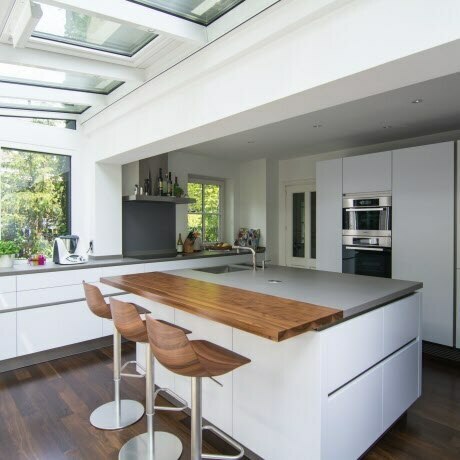 In doing so, the kitchen area was almost doubled by building a conservatory, and a generous and light-flooded room was created. 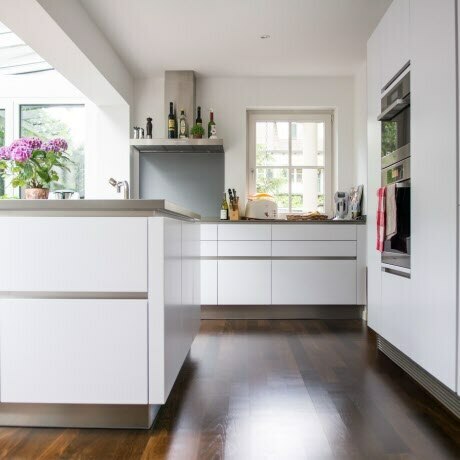 The dark smoked oak floor combined with the clear handle-free fronts of the white carcasses creates a convincing kitchen sculpture. 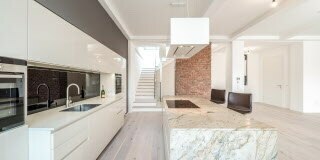 Modern kitchen with cosy elements from Einrichtung & Design Köck OG . 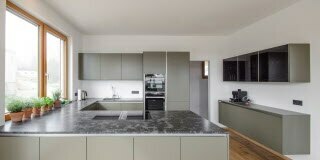 ewe specialist retailer homeART Gartner created a very special project with the INTUO kitchen in "Gadsby Green” and "Mystic Grey". 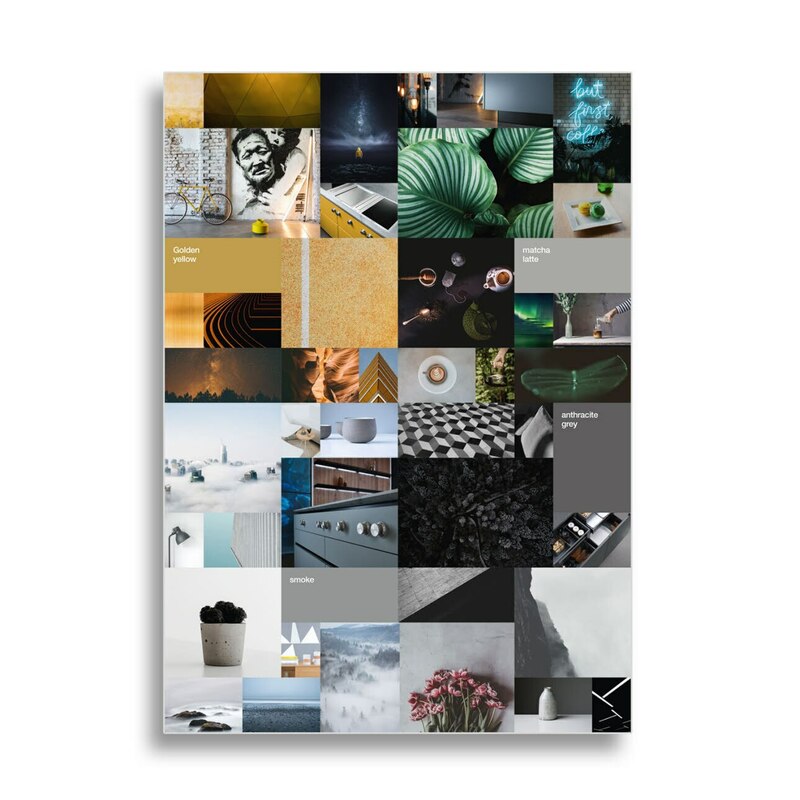 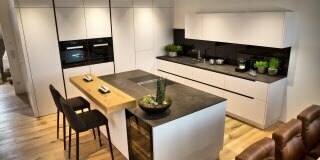 Eilmannsberger wins the title “most beautiful kitchen in Upper Austria - modern” in the living space competition of the Austrian economic chamber of Upper Austria. 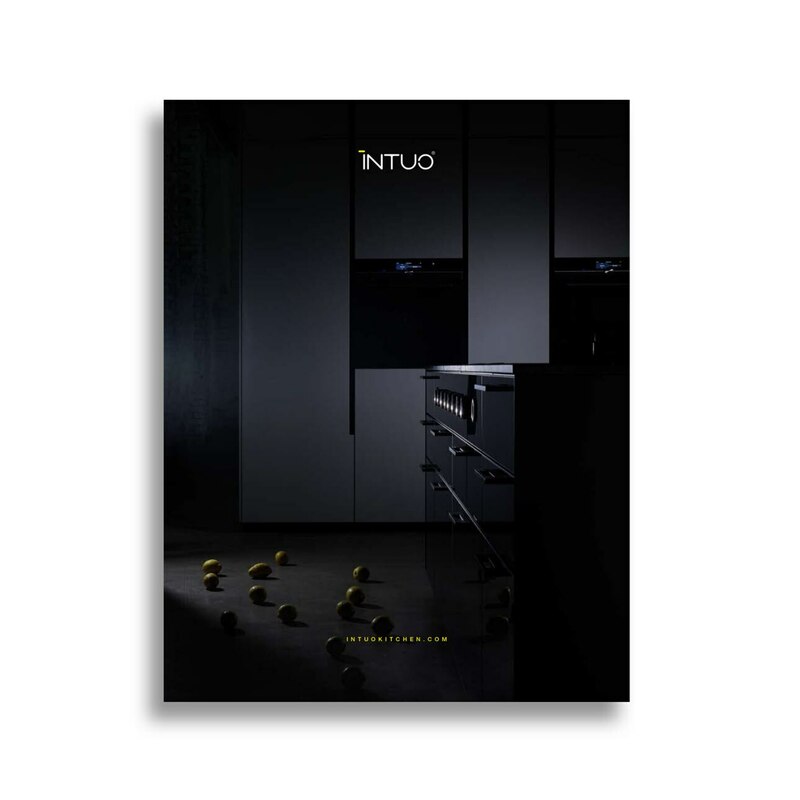 The winning kitchen: an INTUO.